Pre wash foam to loosen and remove road grime prior to washing. Helps to remove contaminants that may otherwise be moved around the vehicle during contact washing - thus avoiding irritating swirl marks. Thick foam to cleanse paintwork of road contaminants. Cover the vehicle from top to bottom. Leave to sit for approximately 5 minutes, allowing the product to attack any surface contaminates. After 5 minutes, jet-wash the product from the vehicle thoroughly workign top to bottom. 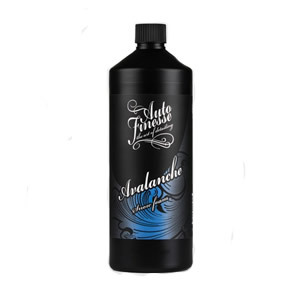 Use the Auto Finesse® Avalanche Snow Foam in conjunction with a pressure washer foam lance for best results, or a pump spray bottle or garden hose foam lance, to loosen and remove traffic film and built-up road grime, prior to contact washing.